Newcomer Family Obituaries - Angela J. 'Angie' Ball 1966 - 2019 - Newcomer Cremations, Funerals & Receptions. 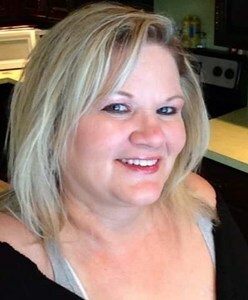 Angela J. “Angie” Ball, age 52, of Holland, passed away peacefully after losing her battle to cancer Sunday, February 10, 2019 at Ebeid Hospice with her loving family by her side. She was born November 25, 1966 to Charles and Arlayne (Armstrong) Berry in Toledo. Angie loved the Lord and was big in her faith. She liked crafting, cooking, doing yardwork, and making homemade Christmas gifts. Angie was big into genealogy as well. She loved to help people and make them happy; she had a huge heart that will be deeply missed. Angie loved nothing more than spending time with her family and her smile will live on forever in our hearts. Angie is survived by her loving husband of almost 22 years, James Ball; children, Amber, Austin and Jackson Ball; grandson, Liam Cook; parents, Charles and Arlayne Berry; in-laws, James and Sharon Ball; sisters, Laurie (Darren) Grumm, Patty (Charlie) Hostetler, Jennifer (John) Meyer and Cathy (Steve) Colpetzer; sisters-in-law, Lori (Rob) Geiman and Melissa (Jeff) Howard; and many special nieces, nephews, cousins and dear friends. The family will receive guests on Sunday, February 17, 2019 from 2 – 8:00 p.m. at Newcomer – Southwest Chapel, 4752 Heatherdowns Blvd., Toledo (419-381-1900). A Memorial Mass will take place Monday, February 18, 2019 at 10:30 a.m. at St. Joan of Arc Catholic Parish, 5856 Heatherdowns Blvd., Toledo, OH 43614. Inurnment will follow in Toledo Memorial Park. In lieu of flowers, those wishing to make memorial contributions are asked to consider the family. To share a memory of Angie or to leave a special message for her family, please click the "Share Memories" tab above. Add your memories to the guest book of Angela Ball. Rest in Peace Angie, Will always remember our days working together at EFP and the fun times we had!! Till we meet again! I met Angie for the first time at Chuck and Arlayne's 50th anniversary, but I had gotten to know her on Facebook before that. She reached out to me first and we shared stories of ourselves and our concerns about children . We prayed together and became family. I knew that when I found a picture or record on Ancestry added by Angie Ball that I was on the right track and I sure did appreciate all of her hard work tracking down our ancestors. My heart goes out to Chuck and Arlayne, Jim and her children. My thought and prayers will be with you as you say goodbye to this beautiful woman.